"One of the formative experiences in my life was starting Kevin O’s Deli – being the first one to arrive and the last one to leave, waiting on tables, delivering sandwiches, and making sandwiches on the 'If I started Subway today, Subway would not exist.' His reason? Excessive government regulations. 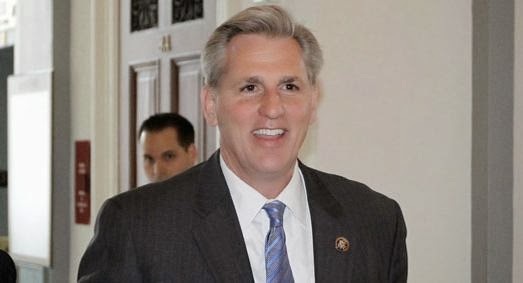 "At a time when our number one priority should be encouraging job creation and growing our economy, unelected bureaucrats in Washington are busy writing new regulations that suit their agendas at the expense of hardworking Americans. The most obvious example is Obamacare which we need to repeal and replace. With its over 13,000 pages of regulations (so far), this law has already begun to prompt layoffs and reduced work hours, while raising health care premiums for families and making it more difficult for patients to keep the doctors they trust. But there are countless other less publicized regulations that impose equally unnecessary costs on you and me. "That is why I worked this past week in Congress to pass commonsense measures to stop government abuse and overreach. We passed the “Taxpayers Right-to-Know Act” that will provide the American people with an annual report on the cost and performance of government programs, helping to bring greater transparency and accountability to Washington. We passed the most significant regulatory reform package of the past 60 years in part through the “ALERRT Act” that translates directly into a more competitive environment for our businesses and greater opportunities for our families. It requires the head of each federal agency to submit a monthly report for each rule they expect to propose or finalize during the upcoming year; requires agencies to look at the lowest cost rule making alternative that meets statutory objectives; requires advance notice of proposed major rule makings to increase public input; prevents agencies from proposing sue-and-settle decrees and settlements to the courts until parties affected by the proposed regulations can participate in settlement negotiations; and ensures that agencies fully analyze the effects of regulations on small businesses and consider ways to reduce unnecessarily burdensome rules. "And lastly, we passed legislation that will protect our First Amendment speech and assembly rights from the Obama Administration’s proposed IRS rule changes. After the revelations last summer of IRS overreach against specific groups applying for tax-exempt status, no American should be targeted by the IRS based on his or her personal political views. "Time and time again - from my days of making sandwiches to my tenure as your elected representative - I have witnessed the adverse effects of burdensome regulations on American businesses and workers. By returning the federal government to its proper limited role, we can get Washington out of the way and make the American dream attainable for all. Robles, where the family also produces a full line of wines including a Zinfandel, Sauvignon Blanc and Cabernet. 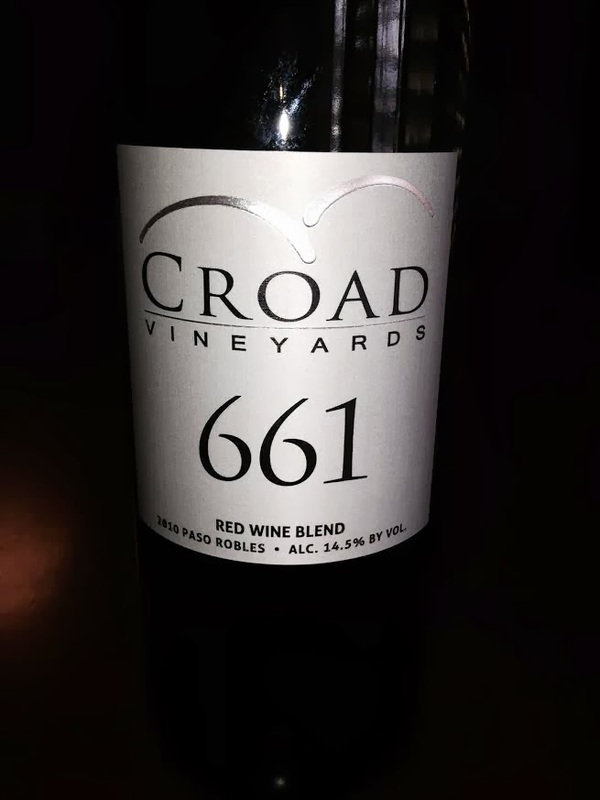 On the back label the Croads printed a Valentine to Kern County: "As the winter mist surrenders to the summer sun you will find a mighty river tamed by the valley plains. 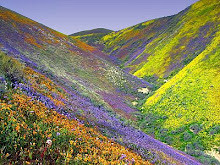 Where the fertile ground provides food for the nation and the energy to move it there. Where the people give as much as they receive and share memorable moments with good wine." * … RAIN: Spotted on a friend's Facebook page: "Some might look at this gift of rain and credit the recent 'Pray for Rain' event in Bako. I credit myself for getting my car washed Tuesday." * … PANHANDLERS: Marilou Burlingame wrote with a unique way to deal with panhandlers. "If business persons would hand out brooms, scoopers and plastic bags to those that hang around the front of their establishments, and after finishing the job, give the person a voucher or certificate to a fast food place. I wonder how many would actually take up the broom or just vanish." * … SKI CHALET: Bentz Ski Chalet, owned by the late Doug Bentz, is up for sale. Bentz died of a heart attack on the bike trail earlier this month and now his son, Dirk, is trying to sell the family business. Apparently Doug Bentz was preparing to sell the business shortly before he died. If you are interested, call Dirk at (661) 343-5910. * …. GIFTS: Looking for a unique gift? You might consider checking out Greater World Gifts, a non-profit fair trade store run by the First Congregational Church at Real Road and Stockdale Highway. It is holding its first spring sale on Saturday, March 29, from 9 a.m. to 3 p.m. The store features items made by artisans in impoverished countries. * … SWENSON'S: Colorado resident Mark Parsons was in town recently visiting his mother and spotted the mention of Swenson's ice cream parlor in this column. "I began in my junior year at BHS as a dishwasher at the Valley Plaza store, working my way up to Super Scooper by the time it closed in 1970. I transferred to the Mt. Vernon store in the shopping center across from the BC football stadium and worked there and the Hillcrest store that was only sporadically open. I went to BC working my way into being the fellow who actually made the ice cream and drove it madly to the Taft store in the middle of the night so it would not melt. I recall making $1.40 an hour to start, and finally up to $1.75 per hour. I worked there until I finished at BC and went away to UC Davis and life off in America. 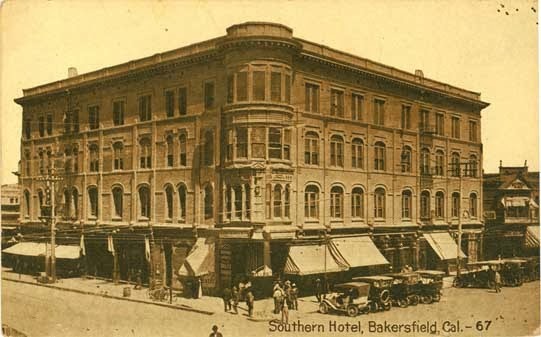 The stores were all owned by Bakersfield Food Harvesters, a partnership of two doctors and a brother-in-law who did the day to day management. They owned tomato harvesting equipment, a car rental agency, a gas station and these ice cream stores. I ate a lot of ice cream in those days. It was grand. 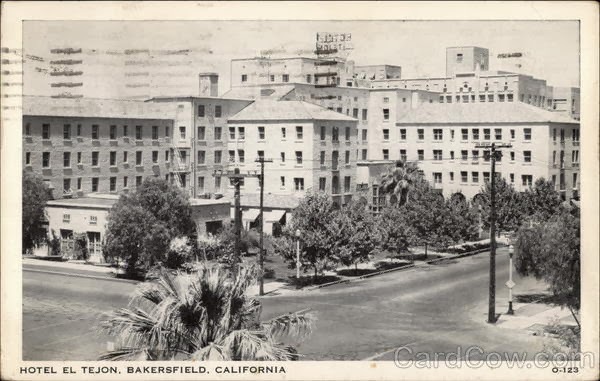 Thanks for helping me recall those days "
* … HISTORY: If you are not into Bakersfield history, this column may not be for you. I am devoting today's blog to reader memories of our city's rich and storied history. I hope you enjoy. * … MURRAY: I had the chance to spend an hour with Jim Murray, who at 92 has total recall about growing up in old Bakersfield. Murray shared his stories Tuesday on First Look with Scott Cox, and he left his audience in awe of the breath and depth of his memories. Murray was a tail gunner on a B-24 Liberator during World War II and later spent years working for S.A. Camp Co. He remains active in real estate and noted that "I am working on two deals now." 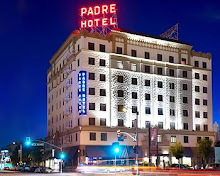 He remembers the excellent food in the old Southern Hotel, a bar called the Drink-a-Link that featured a restaurant and putting green where downtown Mexicali is today, and a bar called the Oil Zone in the old El Tejon Hotel where oil executives and businessmen would make deals. "Bawdy houses," or houses of prostitution, were common back in the day when Chinatown flourished in the "tenderloin" district a few blocks behind Brock's on Chester Avenue. And of course, as a young boy, he and friends would sneak into the Fox Theater and pick up ticket stubs to "prove" they had paid to enter. * … TUNNELS: It's well documented that the tunnels that run beneath our downtown streets were centered around where Mexicali is today, but Janeen Smith says there are more near the Nile Theater. "My friend, John Nelson, had opened (a plant) shop when hanging ferns and philodendrens were all the rage. In the back of the shop was a narrow stairway (probably still there boarded up I suspect) that led to the tunnels with many small rooms off the pathways. I know for sure they extended west to G Street and I'll bet they are connected east to the larger complex of tunnels to the east. By my reckoning, that's a huge complex." * … HISTORY: How many of you know about a small basement theater across the street from the downtown Mexicali? Bryan Kelly told me it seats 30 to 40 people and includes a small stage. "The stage is about a foot high and three feet deep, located under an arch. The owner (at the time) told us that men would gather there in the 1920s and 1930s to watch 'blue movies.' Very exclusive, only men who had money and power in the city/county were invited. Sometimes there was live entertainment. The owner also said there was an entrance to the tunnels on the corner shop, but had been sealed." * …MEMORIES: Vickie Sandoval Gilley shared some memories about working at Valley Plaza in the early years of its operation. She recalled that Payless Drugs had "the biggest and most delicious glazed donuts that they made fresh daily. I used to work at Brocks when they first opened in the mall… I also recall when Hodel's had another restaurant on a strip of property with other small businesses outside of the mall where part of the Target parking lot is now. They later moved inside the mall. I also worked with Hodel's when I was 18. I got the pleasure of working along side Lydia Hodel. She and her husband were wonderful caring people. My mom used to scratch her head wondering why they were going to build an indoor shopping center around cotton fields!" 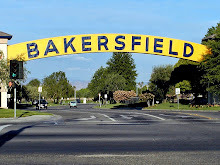 person, the non notables, non VIPS, non Bakersfield family-heritage elite?" He went on to describe this blog as elitist and said he might join me at the Padre bar, but only if we order "non notable" wine. Thanks for the note Alvin, and I can now scratch being an "elitist" off my bucket list. And by the way, just so you know.,this elitist prefers wine in the $4.99 range. Just ask Ray at Trader Joe's. And if you'd like to join me at the Padre, please bring your list of non-elitist topics that you find suitable for this forum. 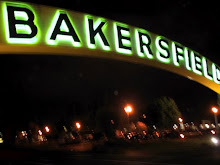 * … EATERIES: Downtown Bakersfield's arts district will soon get two new restaurants. One will go into the space formally occupied by The Foundry on 19th Street (right next to The Metro Galleries). It will be named "InBread." The other, called "Crash," will go into the building previously occupied by the failed cooking studio Sustenance 101. That is on Eye Street next to the Caribbean themed eatery Mama Roomba. * … TUNNELS: I am enjoying the feedback from readers about the old Chinese-made tunnels that exist under parts of downtown. Jim Murray, 92. remembers visiting the tunnels as a teen-ager when a Chinese friend took him down. "Right near Mexicali is where there were four Chinese restaurants" with tunnels underneath, he said. "They smoked opium down there and if you wanted to gamble, that's where you went. " Murray remembers the Chinese community well, noting that "they were wonderful people and we never had one bit of trouble in the area." Murray will join me on First Look with Scott Cox on Tuesday at 9 a.m. on NewsTalk KERN 1180 and broadcast live on bakersfield.com. * … MORE TUNNELS: Added Bryan Kelley: "The building at 21st and L streets (used to be a Leslie's pool supply - might still be) has an entrance to the tunnels in the basement. In the 1970s it was loosely boarded closed, but you could see through the cracks. A friend who worked there showed me this one night after closing and some of the boards just accidentally came off. We just happened to have strong flashlights (imagine that). I went some 20 feet into the tunnel before claustrophobia reared its ugly head. One path kept going straight and one veered to the right (south) and i could see where there were two others, one going west and another headed back east. There were also a couple of 'cubby holes' in the walls, supposedly where one could sleep. I also have a friend who, as a little girl (late 1930s-early 1940s), was sent into the tunnels to find her father and bring him home. Men would meet down there to drink and gamble. She and her family are still alive today and somewhat prominent so I don't think she would appreciate the family's name in your column." * … MEMORIES: Edith Lyons called to remind me that when Valley Plaza first opened there was a Swenson's ice cream shop near the Brock's department store. She said there were two others, one in Taft and the other in the Hillcrest area.